Let us set the scene. It is 1944, and there is a German group of troops in an exposed position in Russia. The Russians are smelling blood, and intend to cut off a large group of Germans. The 1st and 2nd Ukrainian Fronts were tasked with cutting off an exposed group of German soldiers that were part of Army Group South. The whole debacle was engineered by Hitler's refusal to ever voluntarily give up a yard of ground in Russia, even if it meant whole armies would be sent to Siberia. By 1944, the Russians couldn't have had a better ally than him. Your job as the German player is to get out of Dodge. As the Russian player you are tasked with bagging the entire German force. So, let us now look at the game. First, it is a turn-based strategy game with each turn equal to one day. The version I played was on a PC on Steam, however, you can also play it on a MAC, IOS or Android. You can play only as the German player if you want to play against an AI. You can also play by email or hotseat. Now, back to the AI. It plays brutally with a capital 'B'. The Russian AI gets the first move against your forces in the western part of the map. When I say move, it is a euphemism for the destruction and devouring of your units. The AI also will go for the jugular and try for as deep a penetration as they can with their armor units. Your first look at the map after the Russian turn as the Germans will probably tempt you to end the game and shut down the computer. Just like Ronco, just wait there's more. 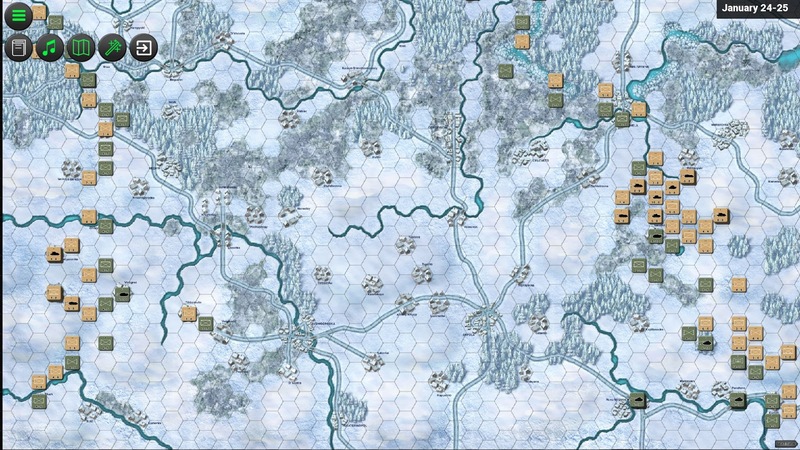 After you try and move your forces away from the Russian tide, you will notice that you cannot move any of your units on the Eastern side of the map (unless you read the rules). So you have to endure a second bloodletting, usually as bad as the first. So, after two Russian moves your tattered forces are left to try and defend themselves and keep a line of supply open to the Southern part of the map. I have never juggled chainsaws, but I have seen it done and the task given you is almost as hard. Lance Craner is the person behind the game and he should either be congratulated or put away in a locked room. His sadistic tendencies toward we helpless gamers should not be overlooked by other game companies or the authorities. The game is simple. There are no air units, and no supply to worry about, other than the German side keeping an open one to the South. The only real addition to the game is the effect of weather on movement, and it is just as deadly as the combat. Unless you want to play the Germans as salmon swimming upstream in molasses, KEEP YOUR UNITS NEAR ROADS. I also suggest that you keep whatever fetish you have around the house close at hand, be it a rabbit's foot or whatever. I have to apologize to Yobowargames. I did not like this game at first. No, I will rephrase this, I loathed it. I actually thought to myself after losing the second time, that I would rather go to the dentist than play this again. At least he has good meds, even if they do wear off. So, I did not play the game again for a long time. I was actually going to pay them for the review copy and be done with it. I finally forced myself to fire it up again. Did I enjoy playing as the Germans? No I still don't enjoy it because I am not a masochist. However, I can now appreciate the work and give kudos to how historically real this game is. In reality, some German units did make it out, but pretty much with only the clothes on their backs. The game truly represents the terrible position that the Germans were forced into. The game also has some other things up its sleeve. It is so simple that it is a great way to introduce newbs into the hobby. The game itself goes for $15 US on Steam, so it is also easy on the wallet. 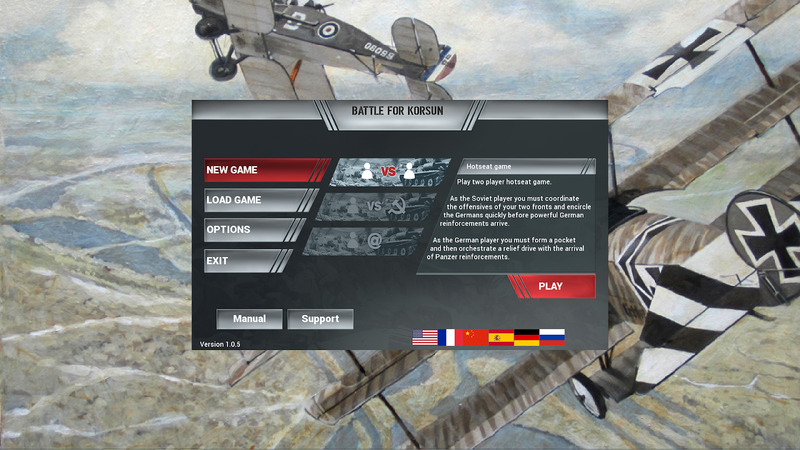 While you are there check out Yobowargames first game 'Kursk - Battle at Prochorovka'. They also have a tactical World War II game that is going to go into early access soon: 'Valor & Victory'.